5 Facts to Know about Colorado Bankruptcy Exemptions (Pt. 1) - Castle Rock Bankruptcy Attorney - Jon B. Clarke, P.C. When filing for Chapter 7 bankruptcy, people can protect some of their assets from being liquidated to repay their creditors by taking advantage of Colorado bankruptcy exemptions. These exemptions can apply to various types of assets, with the specific value of the asset determining whether that property qualifies for exemption. Knowing these facts about Colorado bankruptcy exemptions can help you protect as much of your assets as possible when filing for Chapter 7 bankruptcy. The information discussed herein is general in nature. You are encouraged to consult with experienced Colorado Bankruptcy Attorney Jon B. Clarke for more specific information and advice regarding your case. Fact 1: When filing for bankruptcy in Colorado, you must use the Colorado bankruptcy exemptions (and not federal bankruptcy exemptions). 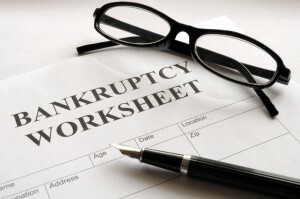 When it comes to bankruptcy exemptions, there are federal bankruptcy exemptions and state bankruptcy exemptions. In some states, people have the choice between which exemptions they want to use in their bankruptcy case. However, this is not the case in Colorado, as the state’s bankruptcy laws specifically mandate that borrowers who are filing for Chapter 7 in the state have to use the Colorado bankruptcy exemptions. Fact 2: Colorado bankruptcy exemptions may allow you to keep your house and car. Motor vehicles as long as their value is no more than $5,000 (or $10,000 if the individual is disabled, is elderly and/or has a spouse/dependent who is disabled or older than 60 years old). When the value of these assets exceeds the specific exemption amount, these assets may be sold, and the borrower may be entitled to a portion of the proceeds from the sale (with the rest going to pay back creditors). Be sure to look for the upcoming second part of this blog for some more important facts to know about Colorado bankruptcy exemptions.